I’m ecstatic about the resurgence of the mid-size tuck segment. For a while, half-tonnes were the name of the game. There’s certainly nothing wrong with half-tonnes if you need one, but if you don’t, and you want something a bit more suited to every day use, you were a bit out of luck for a while there. 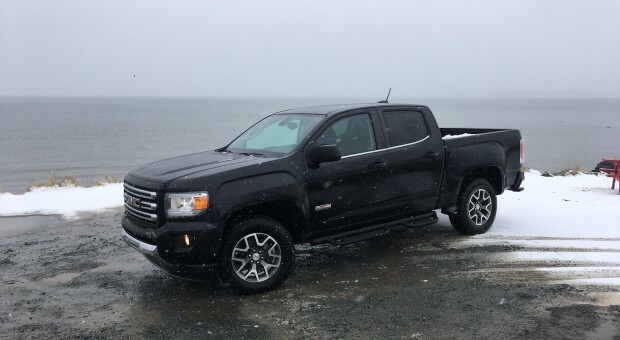 In fact, there was a time when the only options you had to get your hands on a smaller truck were limited to two: the then older designed Toyota Tacoma, and the ancient-by-anyone’s-standard Nissan Frontier. Thankfully, there is a resurgence in the segment with GM bring its twins back into the fray and Ford promising to reincarnate the Ranger. But as good as current pick-up trucks are – half-tonne or not- I’ve always felt there a bit of a missed opportunity in the diesel market: a diesel. Don’t let a certain German automaker’s experience with diesels turn you off, they make as much sense – if not more- in small sized pick-ups. 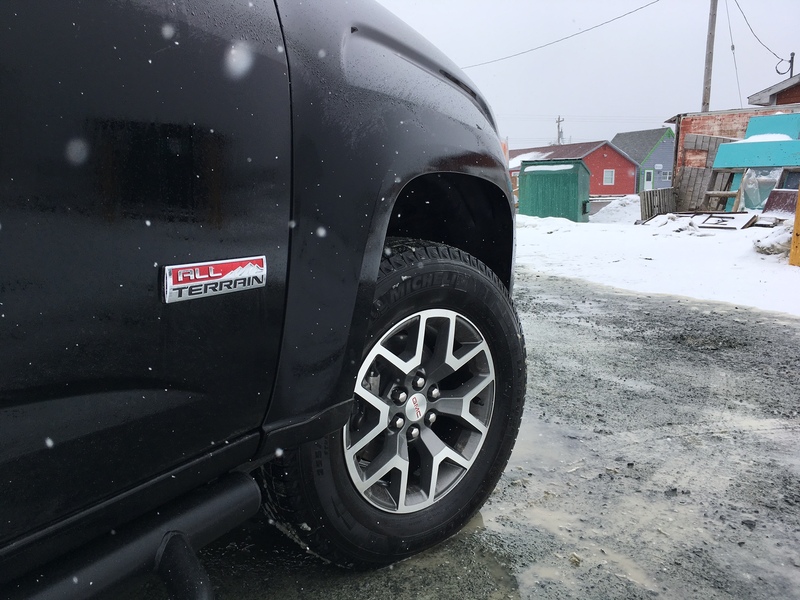 And, finally, GM has recognized that by offering a diesel option in their mid-sized pick-ups. I’ve been eagerly awaiting some seat time ever since GM announced the new engine option for their Canyon and Colorado. GM finally gave me the opportunity to try out their new, 4-cylinder diesel option under the hood of the Canyon. The best way to tell if a Canyon is equipped with a diesel is to look right on the hood. That’s the only place you’ll find a Duramax badge; there isn’t even one on the tailgate. Otherwise, it’s pretty standard fare for a Canyon. My tester was fitted with optional 17-inch alloy wheels along with side steps. Do yourself a favour and forget those. The ride height of the Canyon isn’t high enough to justify them and they 100% get in the way every time you try to get out. They also do a decent job of leaving dirt and snow on the back of your pant legs. Overall, it’s a good looking truck, likely the best looking in the segment, however since it was originally styled to be a sort of ‘baby Sierra’, it’s now starting to look a bit out of date since the Sierra now has a styling refresh. Inside you’ll find a nice, uncluttered lay out. 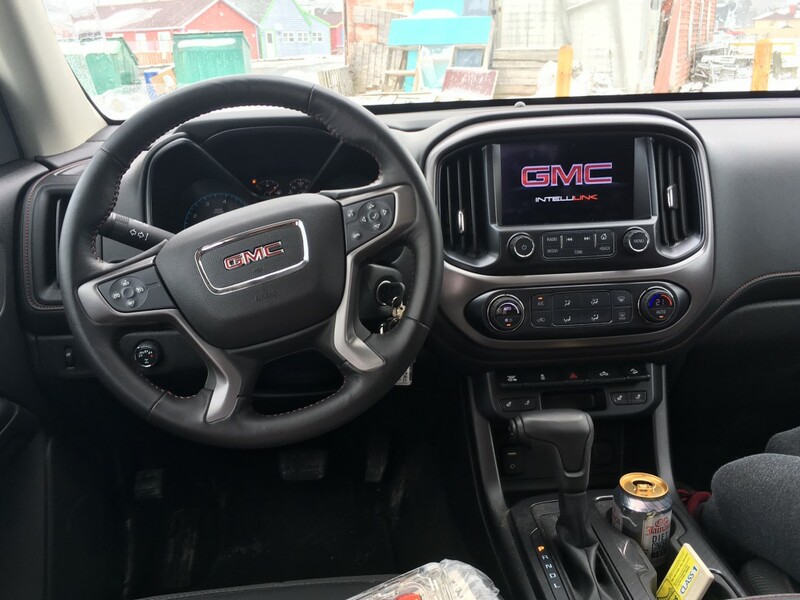 The Canyon isn’t trying too hard with swoopy dashes, faux wood trim or even push button start. And that’s okay – in fact, it’s expected from a pick-up truck. That isn’t to say the interior doesn’t feel particularly nice. The high quality materials along with a fairly easy to use infotainment system help the Canyon’s cause. Seat comfort is also good along with decent room in the back thanks to my tester’s crew cab configuration. The only issue this presents is a much smaller bed that is also noticeably narrower than big brother Sierra’s bed. But suffice to say, few will find the interior to be a turn off. 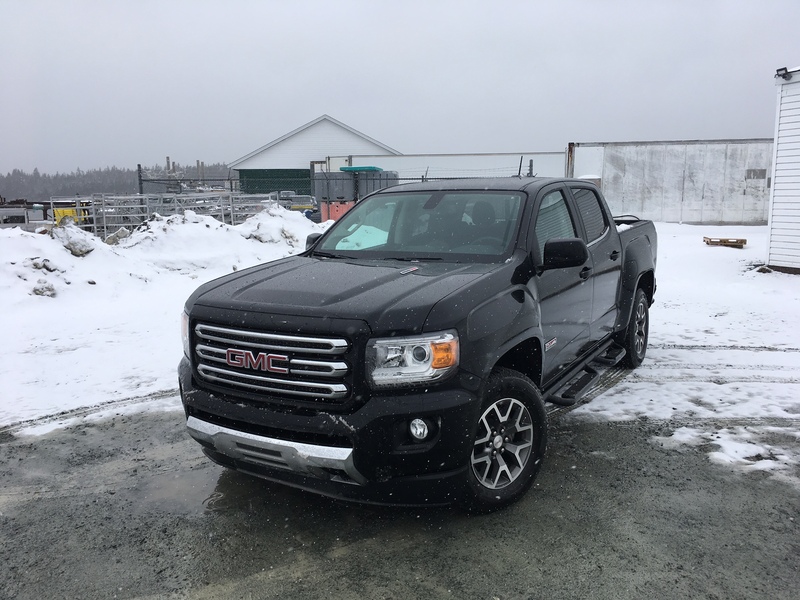 I kept the exterior and interior impressions rather short because the real story is the aforementioned Duramax diesel. It’s a 2.8 litre 4-cylinder which produces 181 horsepower. That may not sound like a lot for a pick up truck and, truthfully, it isn’t. However, like most diesels, it makes up for it with oodles of torque; 369 pound feet of torque to be exact. It’s mated to a six-speed automatic. The transmission performs admirably in every day driving around town as shifts occur when you expect them to and are not overly jolty. But if you really put the power down, it starts to become a bit lazy and hesitant. For instance, if you’re looking to overtake a slower moving vehicle, you’ll have all the torque you need, but the transmission will take forever to upshift once you complete the task. This leaves you in the higher rev band for longer than necessary which means a bit of a hit to your fuel consumption – not to mention it makes for a noisier cabin. Speaking of, it’s only when you put your right foot to the floor when you experience any sort of intrusive noise to the cabin. And unless you have the windows down, you won’t hear much from of the infamous diesel clatter either. This, matched with the no-fuss interior makes the Canyon feel more on the premium side. 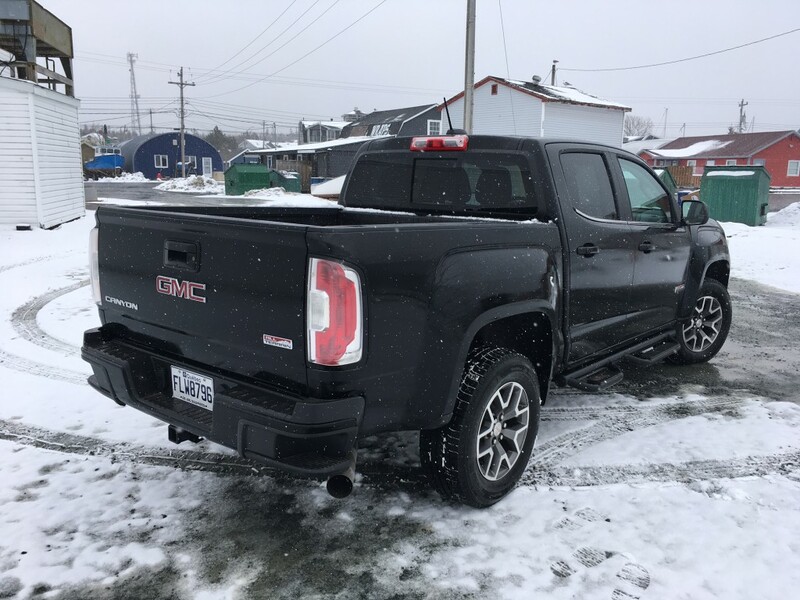 On city streets, it has a mostly composed ride, handling bumps and potholes with ease, however like with most trucks, you do notice when you drive over them. But thanks to its relatively smaller size, it’s manoeuvrability around town is good. Even a nervous driver would have some measure of confidence in a crowded parking lot. While I didn’t get the opportunity to do much ‘true’ off-roading, I did get to take the Canyon down some dirt roads. As you’d expect, it handled it well. I’d imagine it could take on off-roading duties quite well too, save for those damn side steps that might get in the away. Again, don’t bother getting them. If towing is the name of your game then you’re in luck thanks to all that torque. 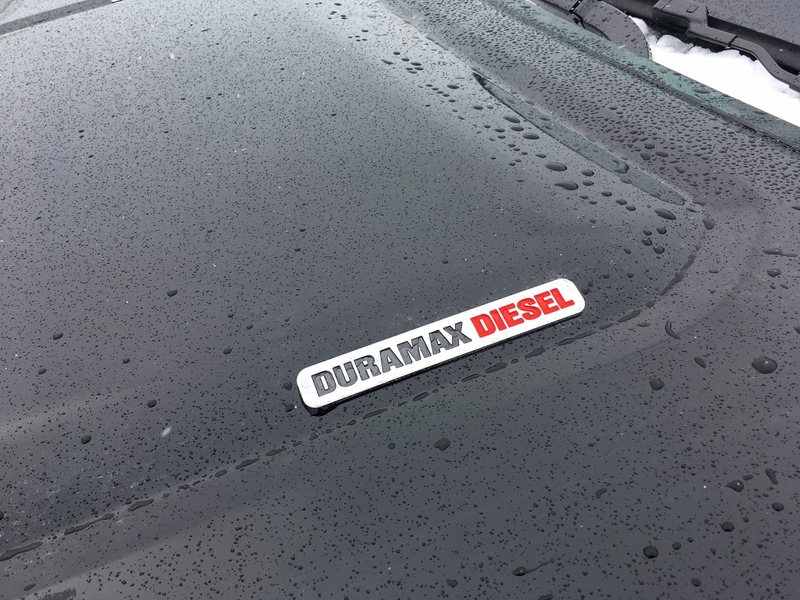 The Duramax can handle 7,600 pounds behind it which is 600 more than the 3.6 litre V6 engine. You’re also in luck if long-distance driving is the name of your game. On an hour long trip to my girlfriend’s farm, I was able to return an impressive 7.9 L/100 kms. In fact, that’s exactly on par with its official highway rating. And by the end of the week, the combined total was 10.8 L/100 kms, which is exactly its official city rating. By comparison, the V6 powered Canyon I tested two years ago returned a combined rating of 12.5 L/100 kms. So you’ll notice some savings at the pumps if you opt for the diesel. Then again, if you opt for the diesel, you’re out almost five grand from the get go. Yes, the diesel options is a whopping $4,950. That’s a lot of gas money. And on top of that, you can only get the diesel option in crew cab configuration. So there’s the conundrum. If you don’t feel the need to get a half tonne, then you can go for the mid-size Canyon and save some money. You’ll even save money on gas if you go for the diesel, but then again, it’s an expensive option. And if you option out your Canyon exactly the same way as my tester, you’ll be out $48,000 when everything is said and done with options and fees. That kind of money will buy you a rather nice Sierra, Silverado, Ram or F-150. 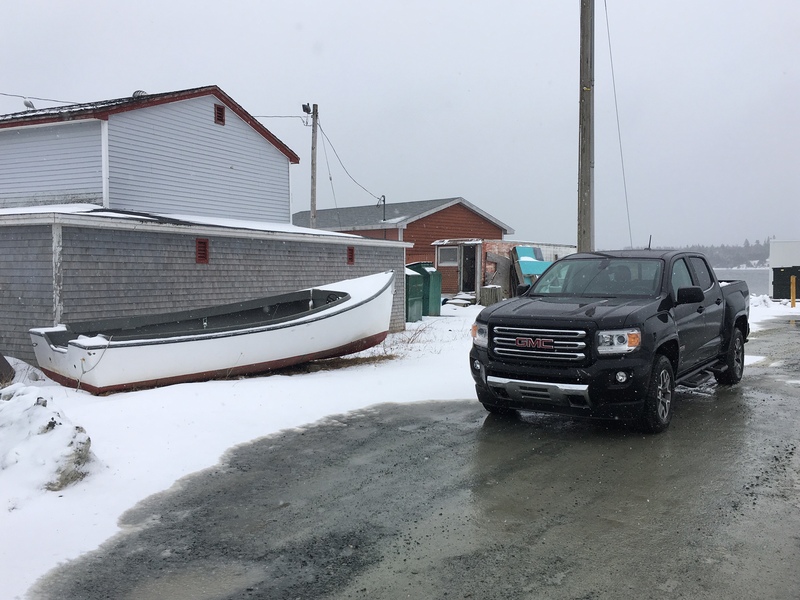 And those trucks are in high demand which means they’ll likely have better resale down the road. So at the end of the day, it’s a bit of a tough call. If you take money out of the equation and evaluate the Canyon diesel purely on its laurels, then you will not be disappointed. 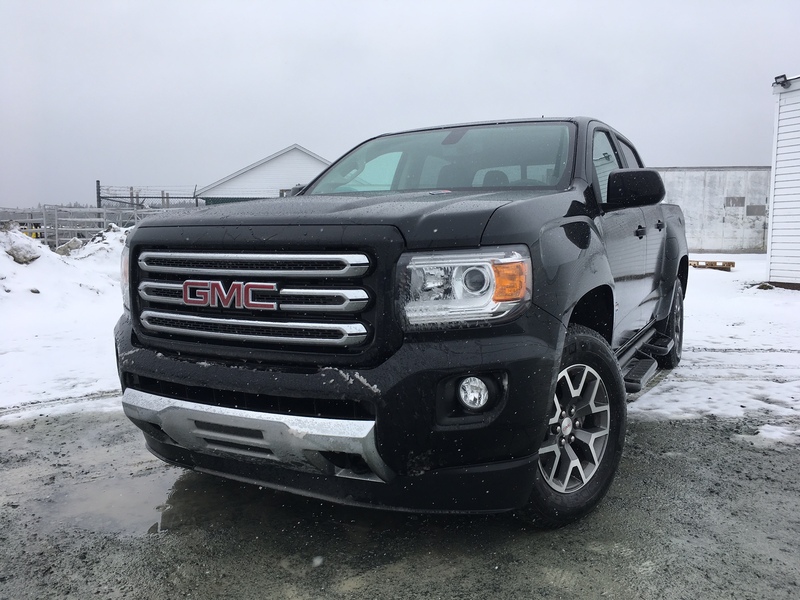 The Canyon, in my opinion, is already the best mid-size truck in the segment. Adding the diesel is like adding cheese to your burger. It enhances the whole experience.